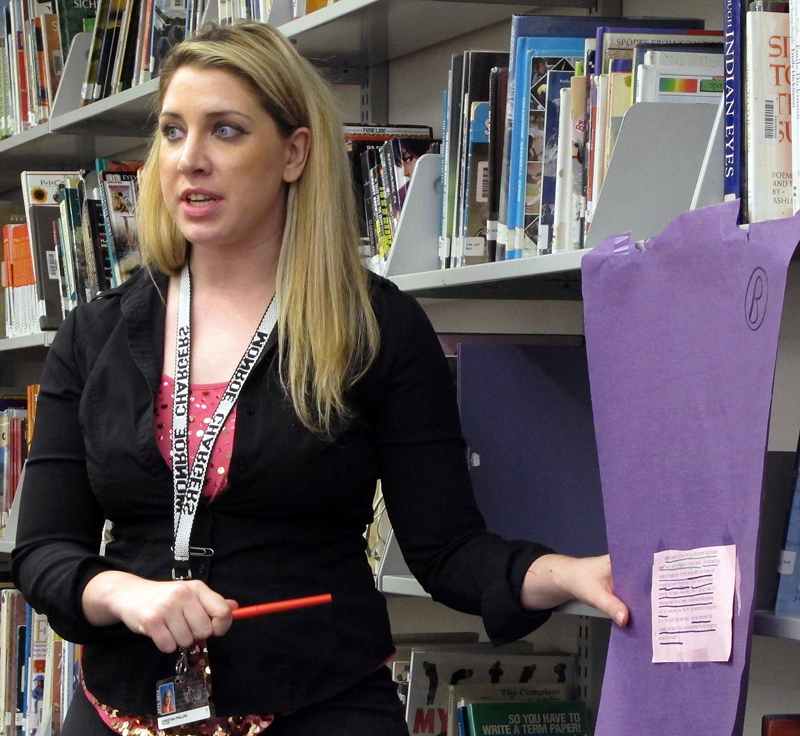 This story is the second of a six-part series looking at how schools are preparing for the Common Core State Standards in Florida. It was produced in partnership with StateImpact Florida, a reporting project of NPR member stations. Read the first story here. Monroe Middle School teacher Dawn Norris hears a difference in her language arts classes since she starting using Common Core standards two years ago. It’s how the 13-year teacher knows the new standards are working. Middle schools across Florida will begin using the new math and language arts standards when classes start this fall. But most middle schools in the Tampa area, where Monroe is located, are already using Common Core. Common Core has been fully adopted by 45 states. But the standards have been criticized for their quality, for reducing local control over classroom content and for continuing emphasis on student test results to determine whether teachers and schools are successful. Monroe has about 530 students right outside the gates of MacDill Air Force base. Four of five students at the C-rated school qualify for federal free and reduced-priced lunches. About 25 percent of students transfer into or out of the school during a typical year – higher than typical Hillsborough County schools. Designers say Common Core’s structure should help low-income, or students who move frequently – like those at Monroe. Norris’ sixth grade students are studying fairy tales from around world. She broke them into four groups and asks them to write about how different cultures tell the same story. Two girls talked about Chinye, a West African version of Cinderella in a corner of the room. “What happened in the story again? I forgot. ‘Cause I know that the flamingo part…?” one student asked. “Didn’t she have those magical things? Those magical bean things? “Beans?” her partner responded. “Are you talking about Jack and the Beanstalk? “Gourds!” the first student confirmed. Two boys talked about essay structure across the room. One showed how to write about an idea based on what they’ve read. Supporting ideas with evidence from a text is a central pillar of the Common Core language arts standards. Norris bounced from group to group. Her timing was good – often stepping in just as student classwork focus headed sideways. Norris says giving students more control over their learning is a key component of Common Core. The standards outline what students should know at the end of each grade. But they also emphasize a package of teaching techniques – such as students working in small and large groups. She plans the lessons. But it’s up to students to question, challenge and prod each other toward the goal written on the classroom whiteboard. Norris said she had trouble giving up control at first. But her students quickly proved they could handle the assignments. You’re probably familiar with the three R’s – reading, ‘riting, ‘rithmetic. 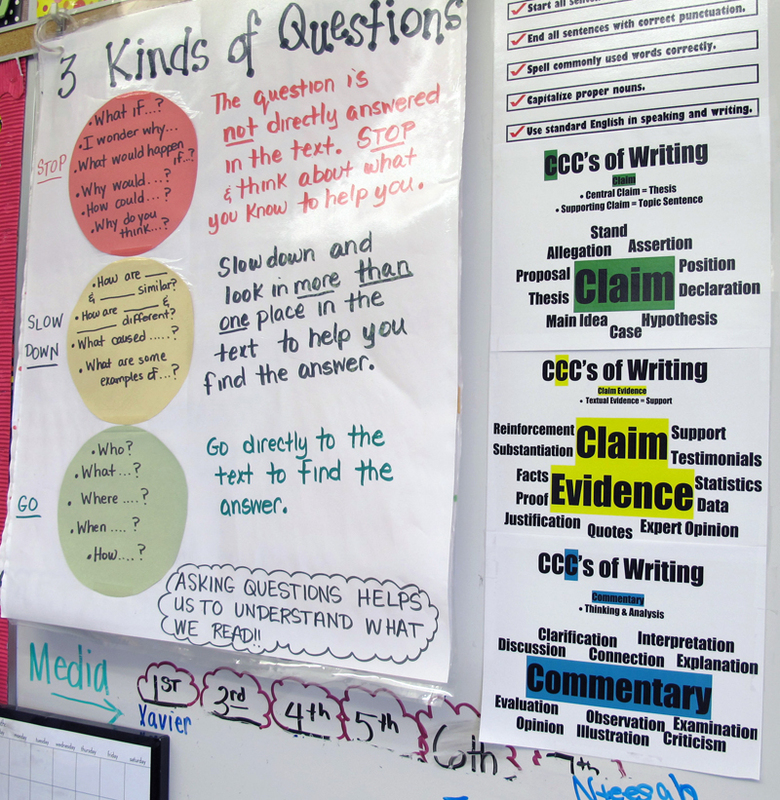 Over in Christina Phillips’ sixth grade students learned about the three C’s – claim, claim evidence and commentary. Phillips had her students read essays and identify whether the underlined text is making a statement, presenting evidence, or expressing a fact-based opinion. “OK, so let’s start with blue first. Okay?” Phillips asked. “The blue said ‘This pig made his house of bricks.’ Is that factual evidence from the text? Or is that my opinion? “That’s evidence!” a student pops back. “Claim evidence,” the students said. “Claim evidence. So circle it and tell me how you know,” she said, asking them to fill out their assignment. Phillips said Common Core meant big changes in her lessons. It’s all designed to make sure kids are prepared for college-level or professional work by the time they graduate high school. “Four years ago, there wouldn’t be any text in a writing assignment.” She said. “It would simply be a prompt. And we would probably have kids writing a lot more anecdotes. Now, they have to use the text. Principal Kenneth Hart said a few teachers have struggled to turn over more control of lessons to students. In implementing Common Core, Monroe Middle School has made it a priority that every student participates in lessons. The school has taken an idea inspired by game shows and is using devices that randomly select students to answer questions or read passages in some classrooms. “It just goes bing, bing, bing, bing,” Hart said. “It pops on your name and you’re the one that gets called. With so many students who come and go during the school year, Hart also said that he likes that Common Core will provide consistency for school districts across the country. “I think the bottom line is it levels the playing field,” Hart said. “It will not penalize the youngster who’s in a mobile population. It will not penalize the student who comes from a military base in Kansas. Phillips, Norris and Hart think Common Core is an improvement. 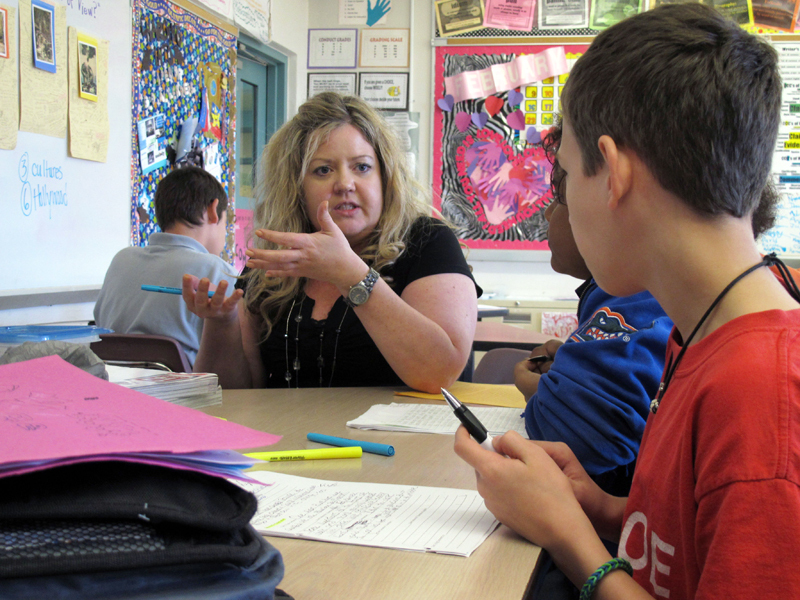 The standards eliminate some topics – giving teachers more time to focus on what’s important. The teachers say they know new Common Core tests will be harder. But the teachers think they and their students will be up for the challenge next school year.